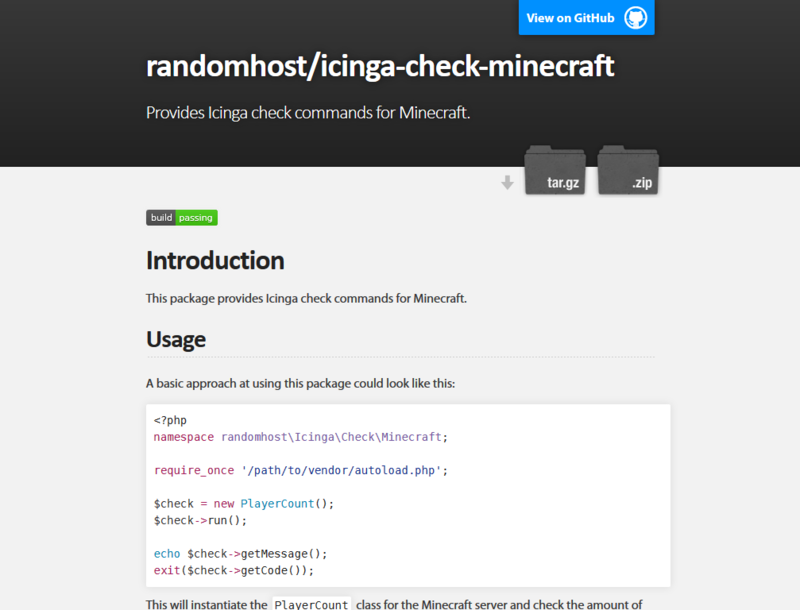 random-host.com is the personal blog of web developer, wannabe dingo, sandbox game enthusiast and blogger Ch'Ih-Yu. 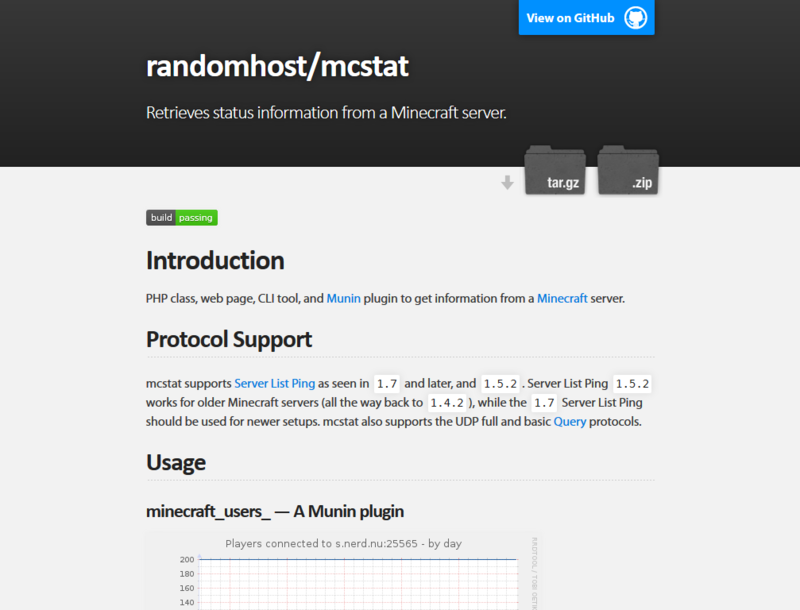 This page is merely a fancy listing of all the Software either written or maintained by the author. 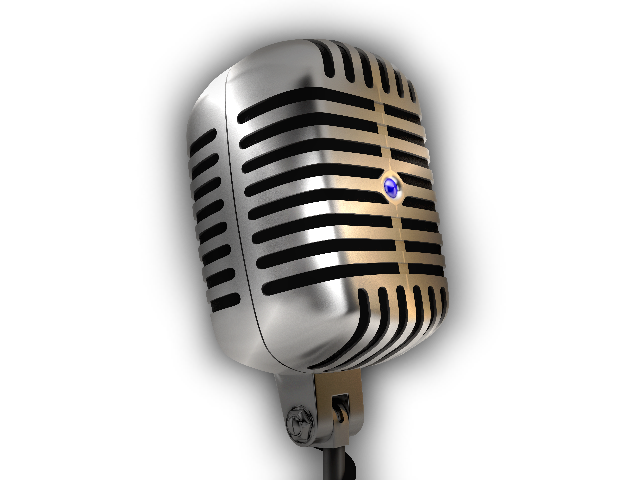 You can find more information about the author on his personal blog. 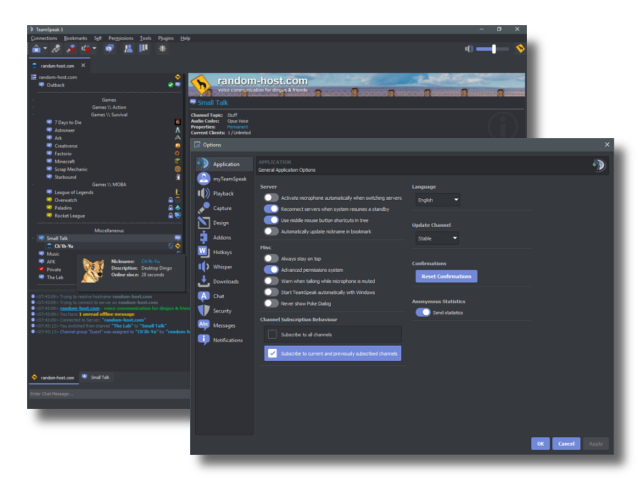 A dark theme and icon pack for TeamSpeak 3 which looks surprisingly similar to another popular voice communication software. A dark soundpack for TeamSpeak 3 featuring a deep pitched down male voice with an artificial touch. 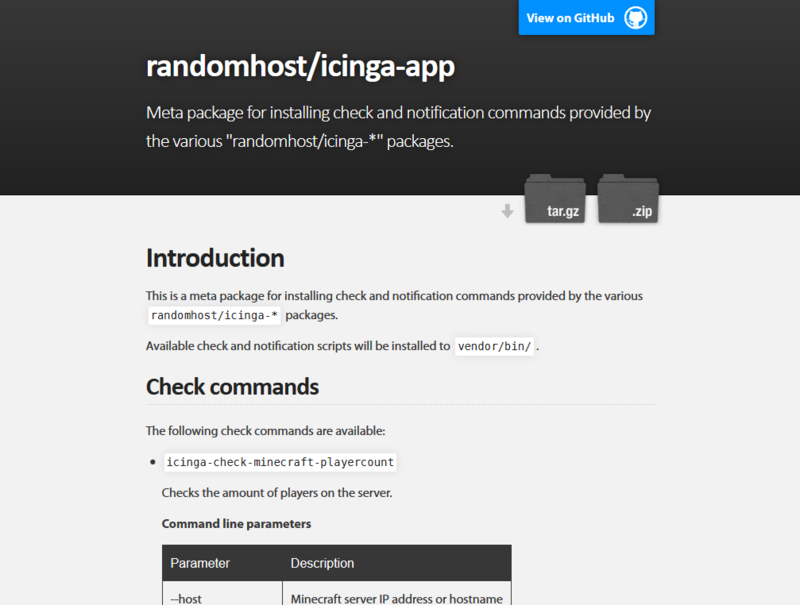 Meta package for installing check and notification commands provided by the various randomhost/icinga-* packages. 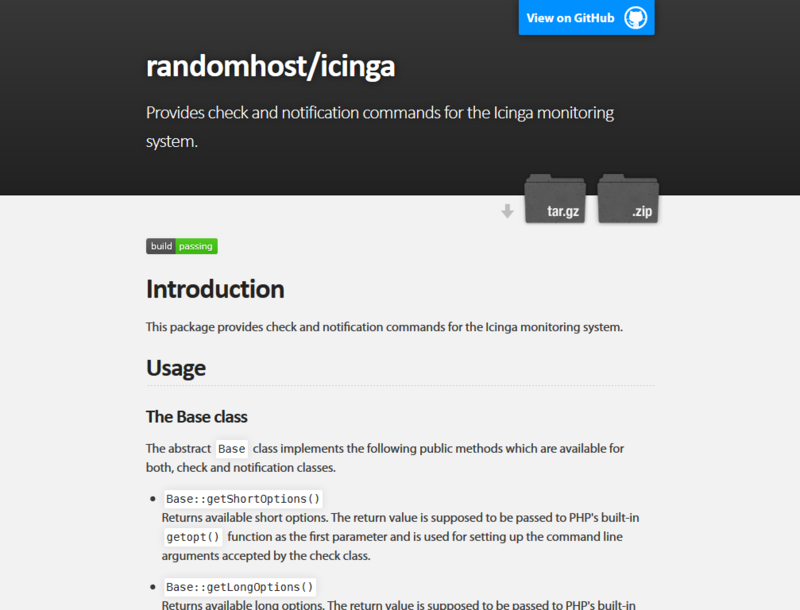 Provides Icinga check and notification commands. 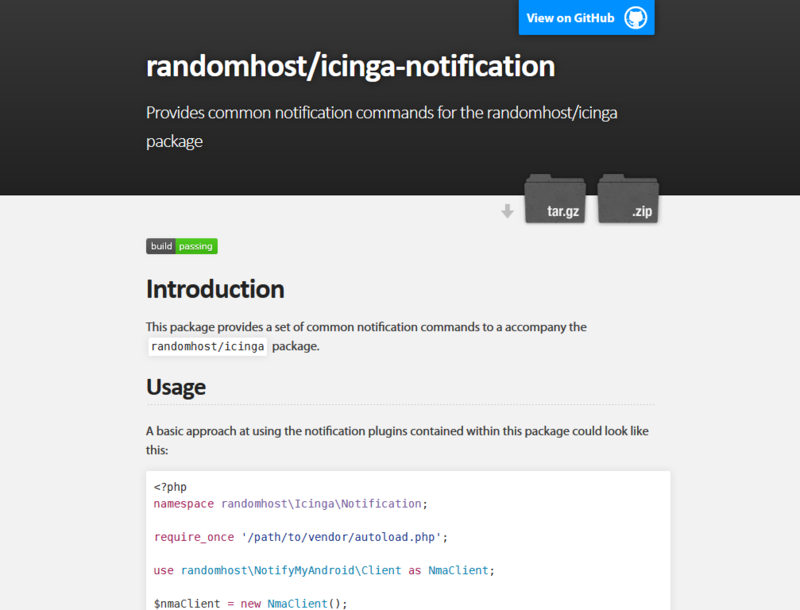 Provides common notification commands for the randomhost/icinga package. 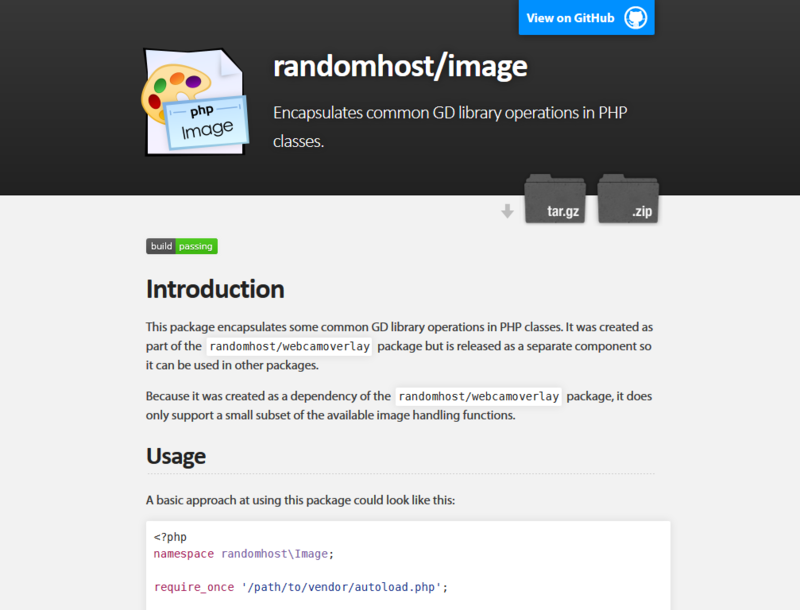 Encapsulates common GD library operations. 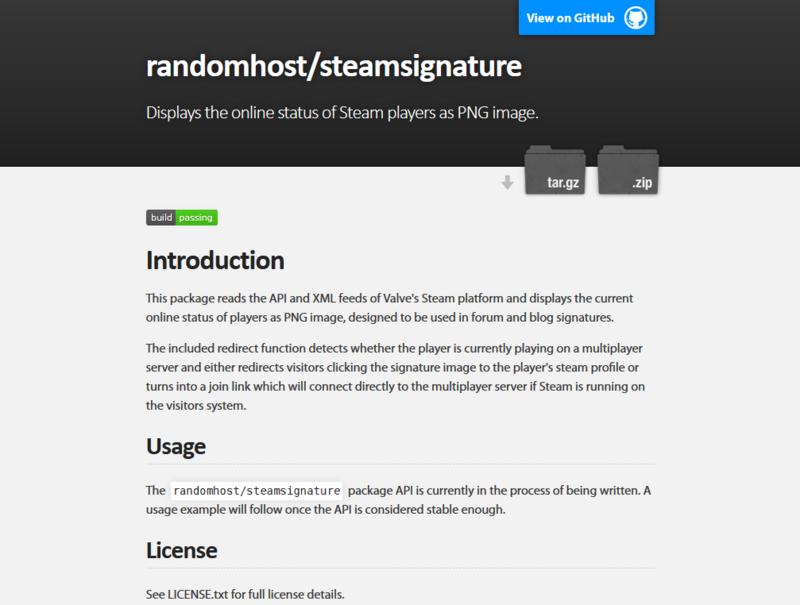 Displays the online status of Steam players as PNG image. 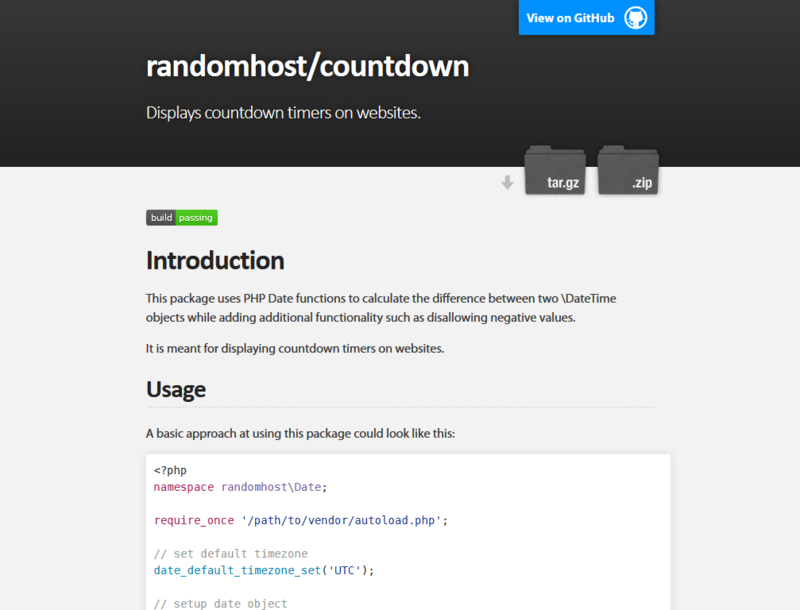 Encapsulates functions for easy retrieval of weather data from the Yahoo Weather API. 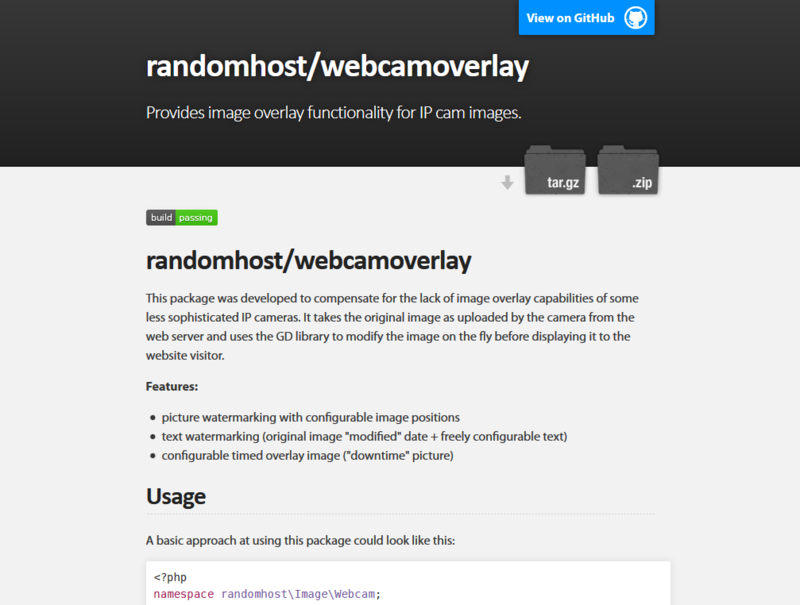 Provides image overlay functionality for IP cameras.